1. How to Enter. 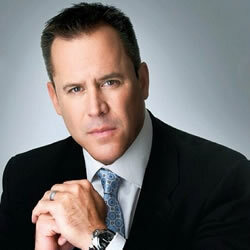 To enter the “The Vince Flynn.com Kill Shot Sweepstakes” (“Sweepstakes”), visit www.vinceflynn.com/aa-giveaway, (the “Site”), and complete the required fields on the online registration form (including your name, email address, etc.). The Sweepstakes, as defined below, five (5) winners will be selected in a random drawing from all eligible entries received. Entrants must have a valid email address. 2. Start/End Dates. The Sweepstakes begins at 12:00:00 AM Eastern Time (“ET”) on February 23, 2018 and ends at 11:59:59 PM Eastern Time (“ET”) on February 25, 2018 (“Sweepstakes Period”). 5. Prizes. Five (5) winner for the Sweepstakes will be selected. Each Monthly Winner will receive a paperback edition of Kill Shot. Approximate Retail Value (“ARV”) of each prize: $9.95. 1Prizes are non-transferable. No substitutions or cash redemptions. In the case of unavailability of any prize, Sponsor reserves the right to substitute a prize of equal or greater value. All taxes and unspecified expenses are the responsibility of winner.